There is no secret formula, product, or shortcut to become a better technical rider. The only way to improve those skills is by riding more technical trails on a regular basis. That is great news because it means more rides and more trails. Of course, there will be falls and failures, but those don’t have to be epic YouTube worthy. When I first started mountain biking, I used to say a ride that doesn’t involve a fall wasn’t really a ride at all. Just like a coach or parent always says, practice makes perfect. Ok, perfect is probably not the goal here, but rather being able to ride tougher sections of trail with confidence. The only way to improve is to keep trying and trying some more. 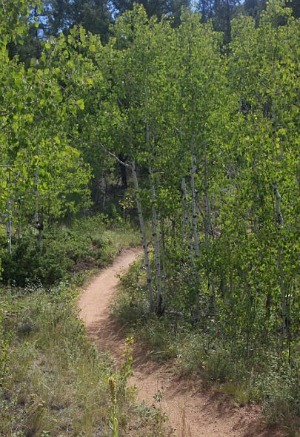 Into some sweet smooth singletrack that is both rideable and enjoyable. Try night riding which forces a rider to really focus on the trail. Take new lines through obstacles on the trail. The new line may not be the fastest path, but that’s ok. The more difficulty encountered, the better the technical skills become. With practice and a continued focus on more difficult trails, technical skills will get stronger. It doesn’t take years to increase skills either. Over a couple of months, incredible gains really can be made. 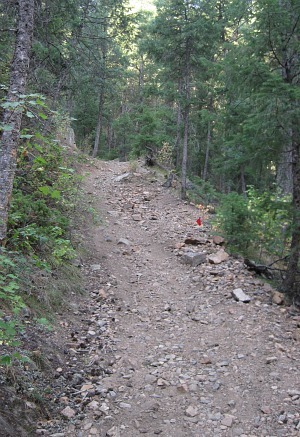 And remember, failure to clear a section of trail is expected because that means the limits are being pushed.